Ceramics and joints in interiors are ubiquitous, especially the tiles. Durable and an integral part of the decoration, the tiles cleans easily enough in everyday life and remains bright for a long time. As a countertop, tiles provides a class of decor on table top, kitchen, bar, etc. Still requires a little more in-depth maintenance from time to time. It is the same for its joints that sometimes can become greyish and stain. The maintenance of tiled countertops is necessary weekly if not daily. For the daily maintenance of your tiled countertops, the most common products on the market are sufficiently effective. With a good tile quality, even soapy water can be enough rather than expensive market products. Using products that respect the environment is a plus that will not attack the ceramic and allow it to age well. Neutral products:These products are useful for regular maintenance. They can be used on any surface and are especially recommended for cleaning natural stones, as they will not damage the applied sealants. Alkaline products:These products are useful for more in-depth maintenance. They are ideal for use on the majority of surfaces (it will be necessary to pay attention to certain quartz according to the rate of alkalinity of the product). These products are excellent for cleaning fat. These are the products to focus on for a good cleaning in the kitchen, like the backsplash. Alkaline products will not damage grout, but may reduce the life of a sealer if used too frequently. Acidic products:These products are made to clean mineral deposits (limescale deposits, rust stains, cement or gypsum residues, etc.) and soap stains. They are therefore perfect for showers and entrance floors. A mildly acidic cleaner will be ideal for occasional maintenance of these places. If there is a major deep cleaning to be done, higher concentration products may be used. The use of a mildly acidic, phosphate-free, ammonia-free cleaner is strongly recommended to maintain the quality of your ceramic. In addition to being environmentally friendly, these products are biodegradable, effective against the most stubborn encrustations, cement residues, etc. You are free to use a product that matches the types of soiling to preserve the quality of your tiles. Cement joints between the ceramic on the floors or walls of the house can tarnish or stain over time. Worst of mold can grow on joints in a moister room of the house like the bathroom. Even with regular maintenance of ceramics and tiles, joints age and hence require special attention. To recover the appearance and the color of origins of the joints, it is important to avoid cleaning with any product that could damage them and especially to allow the water to infiltrate by creating the detachment of the ceramic. Therefore, repeated passages of too acidic products, the use of bleach too frequently, or the steam cleaner are not really effective long-term solutions. Last tip, after deep cleaning the joints, take the opportunity to apply a sealant on the joints. Effective and more sustainable! Simply use a mixture of water and mild soap or water and vinegar for daily cleaning for your tiles countertop (Silestone, Caesarstone, Samsung, Hanstone, granite, etc). For hard water limestone stains, use vinegar on your tiles countertop. For stubborn stains, use a mixture of water and bleach (50/50). However don’t fail to contact professional tiles cleaners for advice and assistance. NEVER use scourers (AJAX, COMET, NET SINK SPONGE) as they may damage the polished layer and cause sails on your tiles countertop. Avoid using products such as Windex, Hertel, etc. on a tiles countertop. Never use a scouring sponge or steel wool. Do not use detergents containing bleach, ammonia or a product with a pH value greater than 10. Some aggressive chemicals (such as oven strippers or drainers) can permanently damage the surface of your tiles countertop. Do not use silicone-based cleaners. Avoid contact with marker ink or printing ink. NEVER put pans, pans or hot appliances directly on the surface of your kitchen tiles, but use a trivet. Always use a cutting board to prepare food to avoid metal marks on the material. Your knives will dull quickly if you use them directly on the counter. Due to lack of knowledge and skills, tile cleaning on your own can cause damage to your tiles in the long run. Hence, hiring a professional tile cleaning agency is one of the best ways to maintain the look of your tiles. 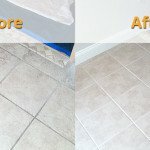 Fresh Tile Cleaning is a reliable source for tile cleaning services. 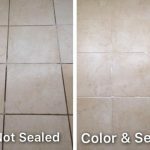 We are a leading tile cleaning company with years of experience and expertise. our staff consists of talented individuals who are also certified. We have a huge client base. It is our excellence and quality work which makes us distinguishable. No matter what types of tiles you have- terracotta, marble, sandstone, glazed etc., we can give them a clean look instantly. 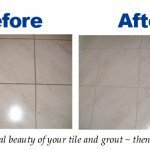 Moreover, we are also expert at grout cleaning services. Give us a call on 1800 233 141 to avail our services now. We are available 24*7 to give you the best services at an affordable price. To know more, get in touch with us now !